Can't get enough of everyone's favourite wanderers? Martial Cultures: The Sijara features 20+ pages of expanded content from Martial Flavor, as well as new alternate class features, new feats, Death Flasks as wonderous items, and a skill challenge you can drop right into your game. The crunch is for 4e D&D, but the fluff can fit into any medieval fantasy game. Buy MC: The Sijara now for only $4.95! 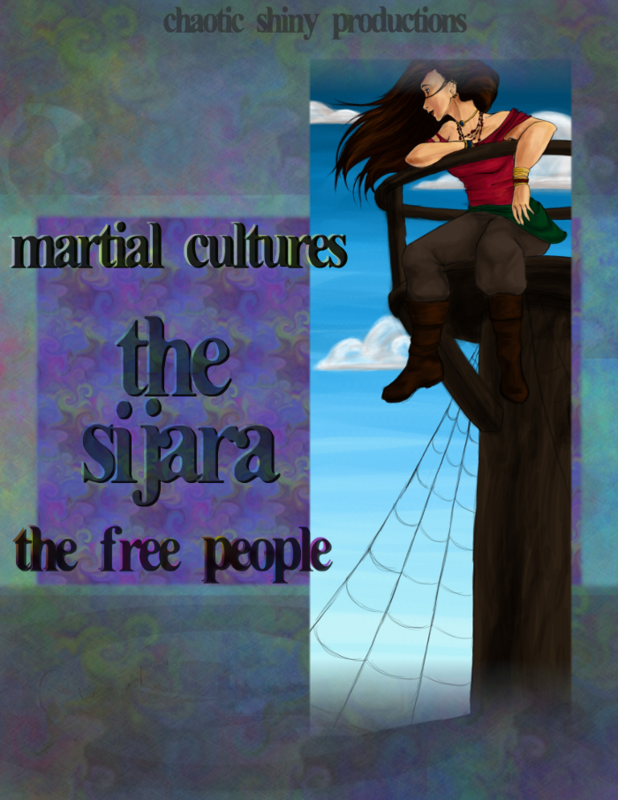 What can Martial Cultures: The Sijara do for me? I'm glad you asked! If you're a DM, it will give you even more information on adding the Sijara to your campaign. More information on the culture, different perspectives on how they fit into the world, and items and NPCs to throw at the players. If you're a player, there are new class features and feats for your character to take advantage of. Plus, you get more in-depth information on their background, and some nifty Sijaran slang you can use to baffle your buddies at the table. If you didn't buy Martial Flavor, this book still has all you need to put the Sijara in your game. If you did, there's ten pages of extra content that simply wouldn't fit into the main book just waiting to be explored. Want a preview of some of the great flavor and crunch in the book? Subscribe to the newsletter to get the original Sijara chapter from Martial Flavor, plus Trader Tables and Terror Tables. You'll also be the first to know about product updates, new generators on Chaotic Shiny, and exclusive sneak peeks.